for Coarse resistant Hair textures. Built-In protection. 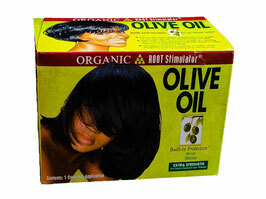 -This revolutionary system utilizes olive oil to protect the hair from damage during the relaxer process. This system provides continuous protection while straightening and providing long-lasting shine.